Traps are very powerful units in Mobile Strike. They take little damage from troops, deal out loads in return and help keep your own troops alive. However, you can only build 125k of them initially. This guide aims to tell you everything you need to know about traps such as how they work, their stats relative to normal troops, when to build them and how not to lose them. 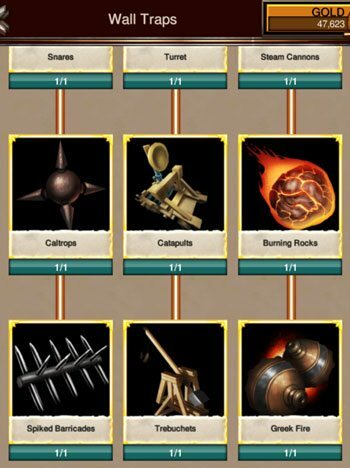 Traps go hand in hand with their counterpart troop Artillery – so I am releasing the guide to Artillery at the same time which you can see here. Traps are built in the Wall inside your base. Unlike troops, there are 5 tiers of traps: Sand Bags, Tier 1, Tier 2, Tier 3 and Tier 4. Upgrading your wall increases the maximum numbers of traps you can have. For info on specific Traps stats see here (coming soon). Traps are incredibly powerful, but suffer one crippling drawback. Let’s start with their strengths. Traps have double the defense of their troop counterparts. Having a full wall of Tier 4 traps will add enough defense to save roughly 3,000 Tier 3 troops for every 100% of defense boost you have. (Not great but better than nothing). This is the main defensive benefit of having traps. If you have 100,000 troops and 100,000 traps, then the incoming damage will be split evenly between them. Early in the game this is a huge benefit. Your troops take half damage and your extremely resilient traps take the other half. As you train more troops, the benefit of this goes down. If you have 900,000 troops and 100,000 traps, the damage is split 90%/10% so your traps now only absorb 10% of the damage. Note: This seems to be the case regardless of the tier of trap (I haven’t fully tested this). So sand bags are just as effective at absorbing damage as Tier 4 traps are (although of course more will be destroyed in the process). This is also why it is so hard to destroy traps later on in the game. If your opponent has 10mil troops for example, only 1% of the incoming damage is applied to their traps. It is also why attacking with artillery is pointless later on in the game. You send a full march of artillery, but only 1% of their damage is actually applied to their intended target (in the meantime your artillery get annihilated by their troops). As we will come on to see, this is the main limitation of traps. There is no limit to the number of troops you can have, but you can never have more than 125k traps. I think that when Epic War designed the game they didn’t anticipate the huge volumes of troops that people would train. The way they implemented the food upkeep system shows they intended to limit the maximum number of troops. However, once people realised that you don’t actually need food to keep your troops alive the troop training bonanza started and troop numbers crept up into the millions. Herein lies the main problem with traps – 125k traps just become irrelevant once you have millions of troops. Sure, you might as well have them, but their presence has negligible impact on combat and it simply isn’t worth building gear or prioritizing research to boost them. As discussed in our guide on protecting yourself, you will get attacked a lot. Early on, there are a number of ways to protect your hero and troops. However, the only way to protect your traps is to stay shielded 24-7. It is simply not worth the gold spent on shields just to protect your traps. It is also not worth spending huge time and resources building traps when they are so hard to protect. As we will see, sand bags are a great middle ground to focus on until you get to the point where you need to be shielded 24-7 anyway (and can therefore start building up a high tier wall of traps). Traps take twice as long to build as troops. In addition, there are far fewer ways of boosting trap building speed than there are for boosting troop training. The end result is that Traps take a veeeeerrrry long time to build. Building a full wall of Tier 4 traps can take many months. On the plus side though there is no maximum queue size for traps. If you have the resources, you can queue up all 125,000 at one time. The main resource you have for speeding up trap training is your hero skills. The best way to train traps is to switch over your hero skills to trap training and queue up a large number of them. For higher tier traps this can save you many days of training time and is well worth the 2,000 gold (or loyalty) for a commander respec. The exception to this is Sand Bags – these are very quick to build. Sand bags are great in the early to middle part of the game. They have low health and do little damage but they do a great job of keeping your troops alive. They have higher defense than even T4 troops and as discussed above, they are just as effective as T4 traps at absorbing damage. The main advantage they have is that they only take 2 seconds and 20 resources each to build. This is so negligible that it is well worth making sure that at a minimum, your wall is always filled with sand bags before going into combat. 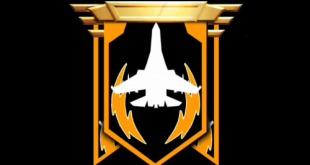 Unlocking traps up to Tier 3 is fairly quick in Mobile Strike terms requiring only around 10 days of research. 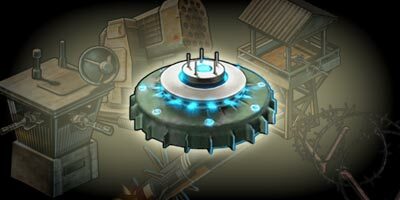 Unlocking Tier 4 traps however requires a level 21 Research Facility which is a sizeable challenge as can be seen in our guide to unlocking Tier 4 troops (coming soon). Having completed the Research Facility, most people will then unlock Tier 4 troops before Tier 4 traps. If you go down this route then all you then need to do is finish researching Trap Attack 10 and Trap Defense 10 before you can start researching your Tier 4 traps. However, if you do not decide to go for t4 traps first then you will have to finish researching most of the Economics tree up to level 10 first. The total time to unlock all Tier 4 traps is 750 days before boosts. You can invest Commander Skill points in Traps Boosts and Trap Training Speed which is great way of boosting your traps in a non-permanent way. Have a look here for trap equipment but as mentioned be careful about investing too many resources into crafting them. Always max out your trap capacity. The defensive benefits they offer are well worth their cost. Early on this means building sand bags and then once you start shielding 24-7 start upgrading these to the highest tier possible. Remember to switch your hero skills to trap training and then queue up a large number. Check out our guide to artillery for info on the counterpart to traps. Slaggy, founder of mobilestrikeguide.com and all around game enthusiast. Unless I missed it, you didn’t mention at what rate, if even so, you should replace earlier tier traps with the new ones you unlock. This question is asked a lot I noticed. Hi, early game just focus on sand bags – it is not worth the resources to build the higher level traps. 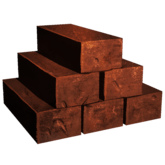 At some point in the mid-game you will want to start upgrading these to Tier 3 traps. You want to balance keeping your trap queue full whilst having as many traps as possible in case you get attacked.